Head Coach of the Dhaka Gladiators and former National Bowling Coach, Ian Pont shares his views on the inaugural Bangladesh Premier League. Ian writes up his thoughts on an amazing high velocity game. Two things emerged from last night's amazing cricket spectacle between Barisal and Dhaka. The first is that Chris Gayle is a phenomenon, pure and simple. I don't think I have ever seen someone hit the ball with such power and effortlessness as he did against us. It was probably one of the best T20 innings played. Secondly, we showed that Dhaka Gladiators are most-likely the best overall side. To be 1 run in two overs and go on to smash more than 206 runs in the next 108 balls, was incredible. And it also covered the fact that the pitch was yet again quite an awkward one as we had seen in the earlier day's game. It's hard to know where to start in such a pulsating match and scores will be seen and reviewed elsewhere. But Imran Nazir, Azhar Mahmood and Kieron Pollard showed why they are such T20 stars. Captain Mashrafe then bowled an amazing spell to show why his recall into full Bangladesh colours cannot be far away. When you win a match like that - getting the competition's highest score and then strangle a batting line up with great fielding and bowling - you feel the all-round nature of the team is what is helping us through. 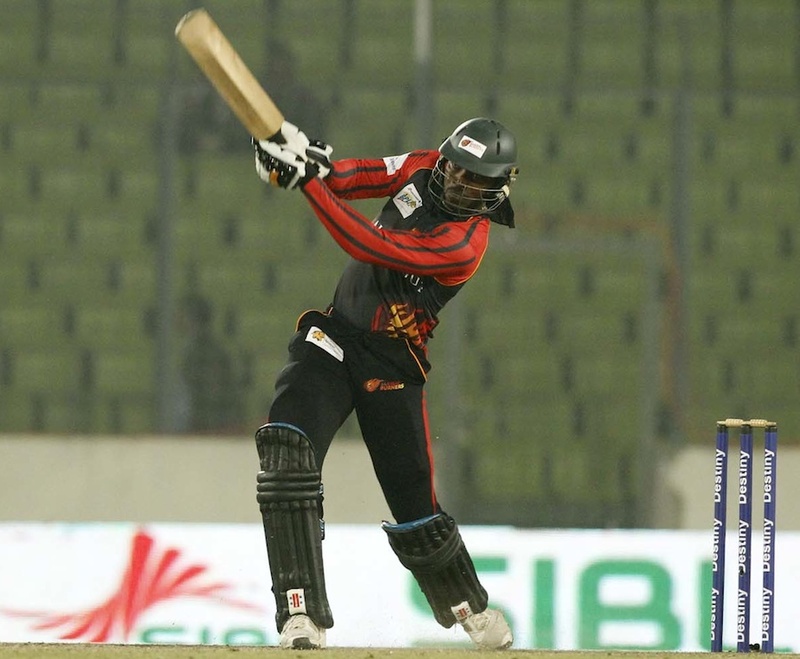 Except for the sensational Gayle, Barisal sadly offered very little at all. It shows they are a one-man team at this stage and they will very much miss Gayle when he goes. My tribute here is for the Dhaka team spirit and togetherness that we have shown throughout. We do not rely on one player here or one man there. But the player we will ALL miss is Chris Gayle. The man is a legend and when he finally goes, the BPL will be sadder without him. It was our sternest test so far. We overcame it. Credit to the players for sticking to their plans and executing them. This page has been viewed 3037 times.